A new report by the Abortion Care Network shows that in the past five years, almost one-third of independent abortion clinics have been forced to close. Independent clinics traditionally provide the majority of U.S. abortion care. “Anti-abortion politicians and extremists are forcing these clinics to close at an alarming rate,” said Nikki Madsen, executive director of the Abortion Care Network. The 12-page report paints a bleak picture of the state of abortion access at the nation’s remaining independent clinics. Fifty-six clinics have closed in the past two years, and 145 have shut down since 2012, leaving 365 left in the United States. Texas, a state leading the nation in harsh anti-abortion restrictions, saw the most independent clinics close: 20. But progressive states like California also had a high number of closures—15 between 2012 and this year. Today, Kentucky and four other states—Mississippi, North Dakota, West Virginia, and Wyoming—are down to a single independent abortion clinic. In Arkansas, Oklahoma, Georgia, and Nevada, independent clinics are the sole providers of surgical abortions after 10 weeks. Without these clinics, the report suggests, the only option for pregnant people would be a medication abortion. Independent clinics are also more likely to offer abortion at every stage of pregnancy. Independent clinics are also more likely to provide broader women’s health services—the majority of clinics providing abortions after the first trimester are independent. The Abortion Care Network report estimates that without these independent providers, access to abortion after 16 weeks would decline by 76 percent, and access after 19 weeks would be virtually nonexistent. While Planned Parenthood is an easy target for anti-abortion activists, it also has more visibility and resources to fight back against TRAP laws aimed at making safe abortion harder for women to acquire. Smaller independent clinics often lack the funds to fight, making them easier targets for shutdowns. 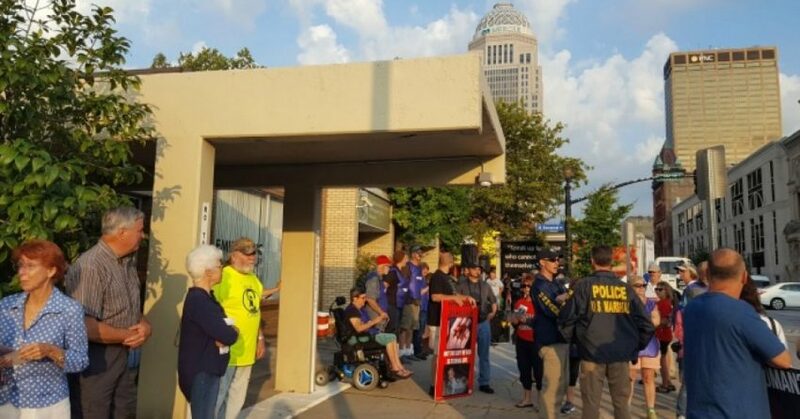 In past months, events in Kentucky have highlighted the nationwide offensive against independent abortion clinics. Anti-abortion activists went to extreme measures to attack the state’s last remaining abortion clinic, harassing patients and providers and projecting an abortion procedure on a 12-by-18-foot screen. The Kentucky legislature is under Republican control, and Republican Gov. Matt Bevin has been vocally anti-choice. Since Bevin’s election in 2015, the state has passed measures making it more difficult to get an abortion, banning the procedure after 20 weeks of pregnancy and requiring that doctors “narrate ultrasounds in detail,” even to patients who object. The ACLU has filed a challenge to the ultrasound measure, and the case is scheduled for September. As more clinics close throughout the country, the “healthy ecosystem of abortion care” will be jeopardized, Madsen said. “Abortion care cannot become a monopoly” of clinics that survive. Let’s be first in the race to the bottom for ob/gyn and neonatal mortality rates! We’re already well ahead of Slovenia.